Launched as a pilot program in March 2013, the ASPCA Behavioral Rehabilitation Center is the first-ever facility dedicated solely to the rehabilitation and study of canine victims of cruelty and neglect—primarily those rescued from puppy mills, hoarding situations and dog fighting rings—who suffer from severe fear and anxiety that prevent their adoption. Today we are thrilled to announce not one but two exciting updates about this groundbreaking program, including a new class of graduates and an all-new location. As we approach the Rehabilitation Center’s fourth anniversary, the ASPCA has unveiled plans to expand and relocate the pilot program from St. Hubert’s Animal Welfare Center in Madison, New Jersey—where it has been based since its inception—to a new, permanent facility in Weaverville, North Carolina. Scheduled to open later this year, the new facility will have a greater capacity to treat traumatized dogs. The team will also launch a new program to share what they have learned, providing research-based training that will help animal welfare organizations around the country rehabilitate homeless dogs from similar backgrounds and save more lives. As the ASPCA winds down its operation in New Jersey, the team is incredibly proud to prepare its final group of canine graduates from the New Jersey program. They have made incredible progress and are now ready to begin their searches for loving homes. Update: Ramlah has been adopted! Ramlah’s journey started when she was removed from a facility that could no longer safely care for its animals. After the rescue, staff at the shelter that took her in quickly realized she was too fearful for adoption, so she was enrolled in the ASPCA’s Behavioral Rehabilitation Center program. 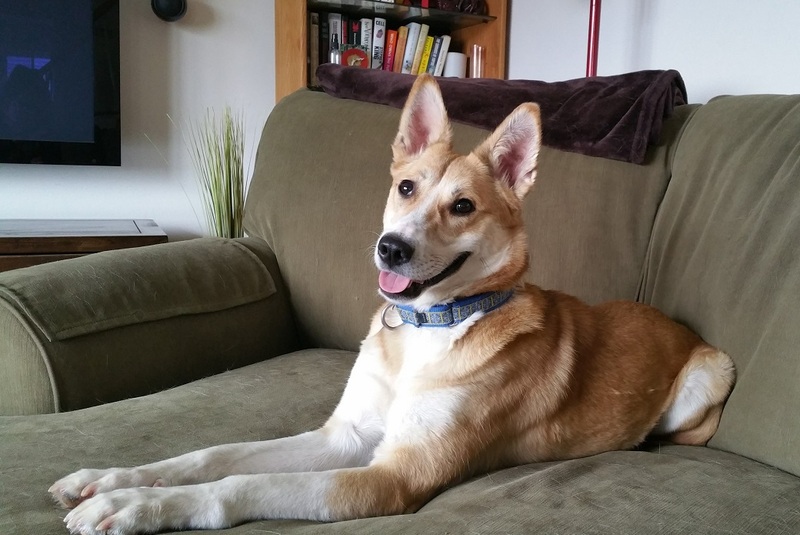 Ramlah made great progress, and now this fun-time Canaan dog is looking for the perfect home. This beauty loves to play, and dogs make her happier than anything else in the world! A home with at least one patient, playful canine companion would be ideal for Ramlah. She also loves to play with people—she adores running with her human friends and would chase toys all day if given the chance. Ramlah is available for Adoption at Sammy’s Hope in Sayreville, New Jersey. Update: Roxanne has been adopted! Roxanne was suffering from extreme fear after being rescued from a hoarding situation in New Jersey. 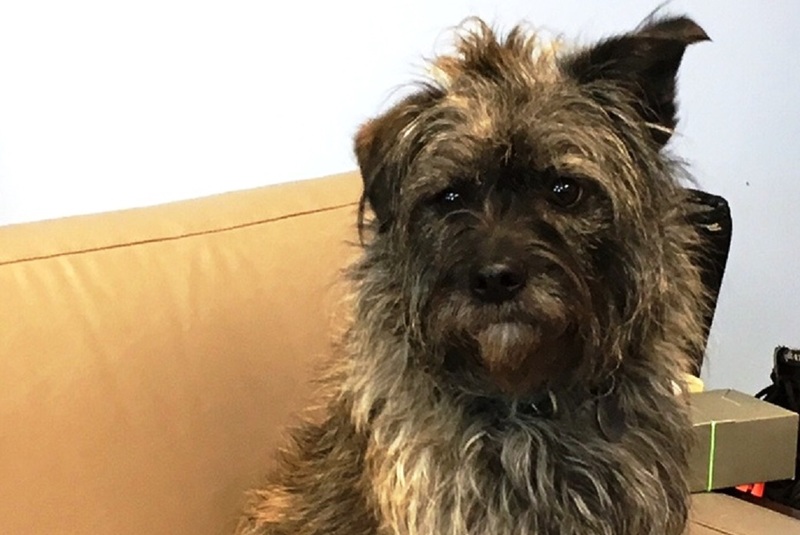 The 1-2 year-old Terrier mix was transferred to the ASPCA Behavioral Rehabilitation Center in July 2016, where she learned that unfamiliar people, objects, sounds and real-life situations aren’t as scary as she thought. Although she is shy at first, Roxanne will reveal her playful, sassy side once she gets to know you! She has made great progress with her anxiety, but she is still frightened of certain things like loud noises and cars. Sometimes she likes to hide when she is scared, but she’s always a fan of soft, cozy blankets and comfortable beds and couches. Roxanne is looking for an experienced adopter with a quiet household who can continue to help her along as she learns to build her confidence. Roxanne is available for adoption at the SPCA Serving Erie County in Tonawanda, New York. Jasmine was found as a stray living under someone’s porch. 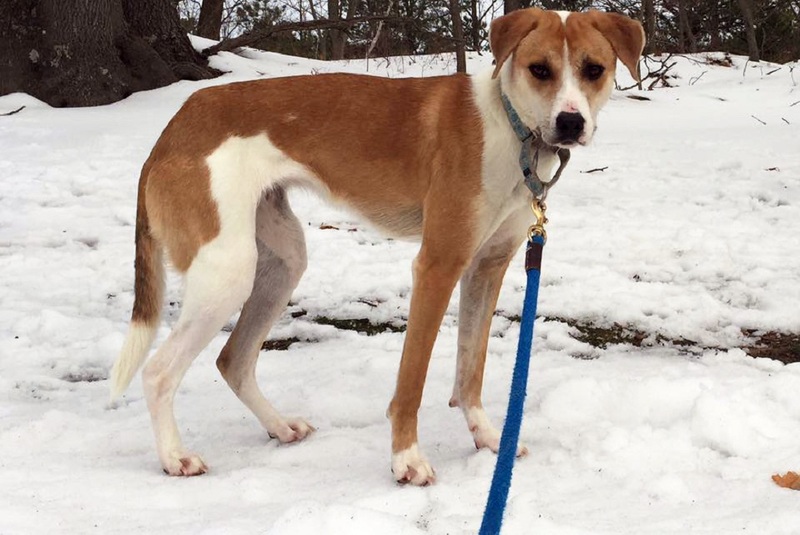 When she was rescued, the 1-2 year-old Hound mix was very fearful and not yet ready for adoption. After arriving at the ASPCA Behavioral Rehabilitation Center in July 2016, she made great progress and proved to be very playful and silly around the people she knows. She loves running around in securely fenced areas and is a big fan of other dogs. She enjoys cuddling with her favorite, familiar people, but although she is eager to learn, she doesn’t yet have many obedience skills. Jasmine is looking for an experienced adopter who will be willing to patiently build a bond and provide her with reward-based training. She would also be happiest with a confident canine housemate who can show her the ropes! Jasmine is available for Adoption at Sammy’s Hope in Sayreville, New Jersey. Update: Skippy has been adopted! 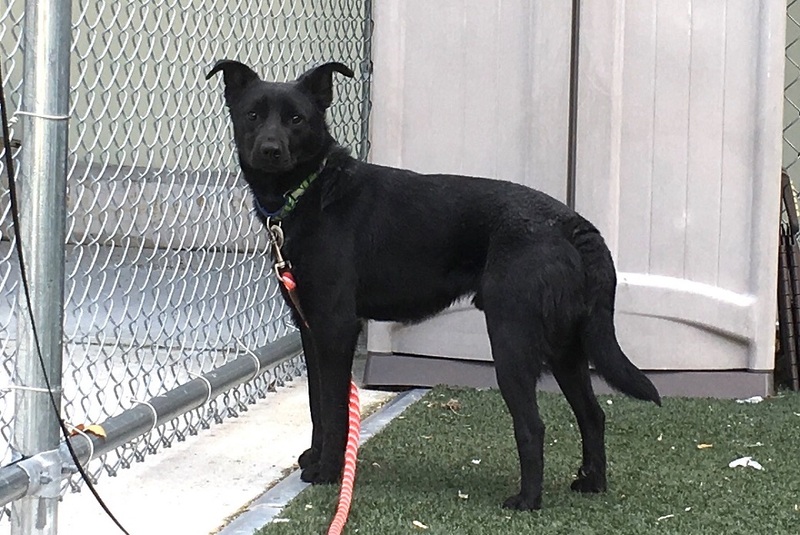 Skippy is a 1-2 year-old Kelpie mix who was found as a stray in Alabama. He was very fearful and under-socialized when he arrived at the ASPCA Behavioral Rehabilitation Center in September 2016. Although shy at first, Skippy is a happy, fun guy once he gets to know you. He loves other dogs and thrives on exercise—he would do best in a home with a fenced-in yard where he can enjoy daily workouts. Skippy likes walks but sometimes gets very scared when he spots unfamiliar people coming toward him. He’s still a little nervous about petting, though he has learned to enjoy a good scratch from people he knows well. He is looking for an active, experienced adopter with a quiet household who can continue to help him along as he learns to overcome his fears. A confident canine housemate is necessary for Skippy to feel comfortable with people. Skippy will be available for adoption soon at St. Hubert’s Animal Welfare Center in Madison, New Jersey. Update: Simone has been adopted! Simone is an adult Labrador mix who was rescued by the ASPCA from an animal hoarder in Tennessee. She is shy at first but can be very playful and sassy once she gets to know you. She is a big fan of treats (especially hot dogs!) and likes playing with other canine friends. In addition, Simone enjoys learning new things and loves to cuddle with her favorite, familiar people so long as they go slow at first. She is occasionally frightened of loud noises and may even try to hide, but she responds well to treats and positive encouragement. Simone is looking for an experienced adopter who can continue to help her overcome her fears and would do well with a confident canine housemate. Simone will be available for adoption soon at St. Hubert’s Animal Welfare Center in Madison, New Jersey. Franny arrived at the ASPCA Behavioral Rehabilitation Center in January 2017 after being rescued from a dog fighting ring in the Southeast. 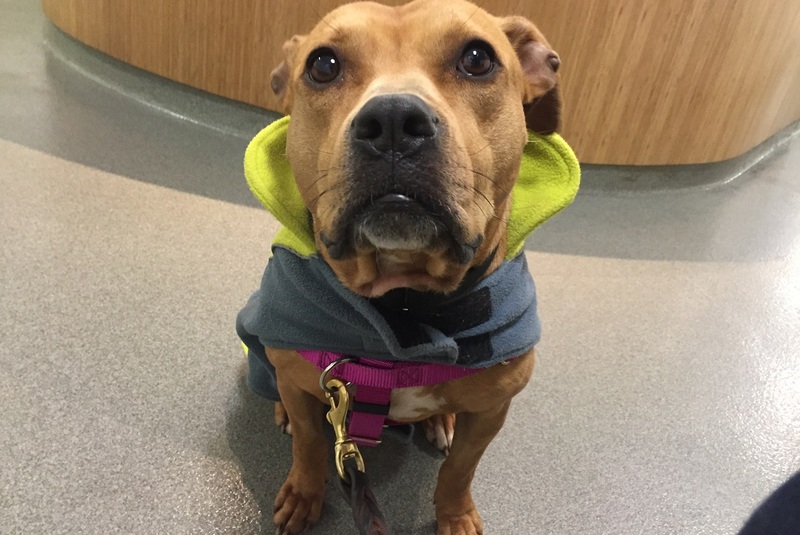 This happy, affectionate girl graduated from the program after just a few weeks of treatment! Although she can be a little shy at first, she loves learning new things and cuddling with her favorite, familiar people. 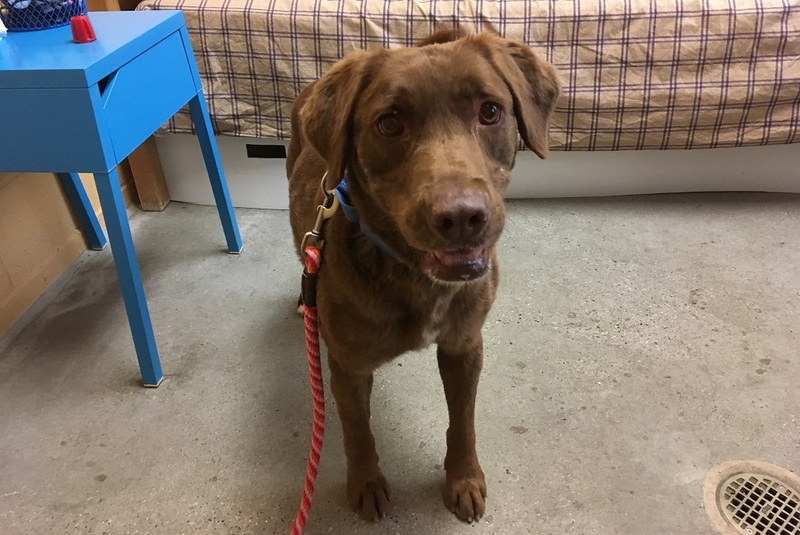 Despite what you might think based on her background, Franny loves other dogs and would prefer to live with a canine housemate if possible, or at least have some friends to socialize with regularly. Sometimes she gets overwhelmed, but this 2-4 year-old pit bull has also been known to get enormously silly when the mood strikes! Franny would do best in a calm household with an adopter who will continue to help her along as she learns how to enjoy the good life. Franny is available for adoption at Rescuzilla in Hoboken, New Jersey. To learn more about the ASPCA Behavioral Rehabilitation Center’s groundbreaking work, check out our award-winning documentary, “Second Chance Dogs,” which is currently available on Netflix.